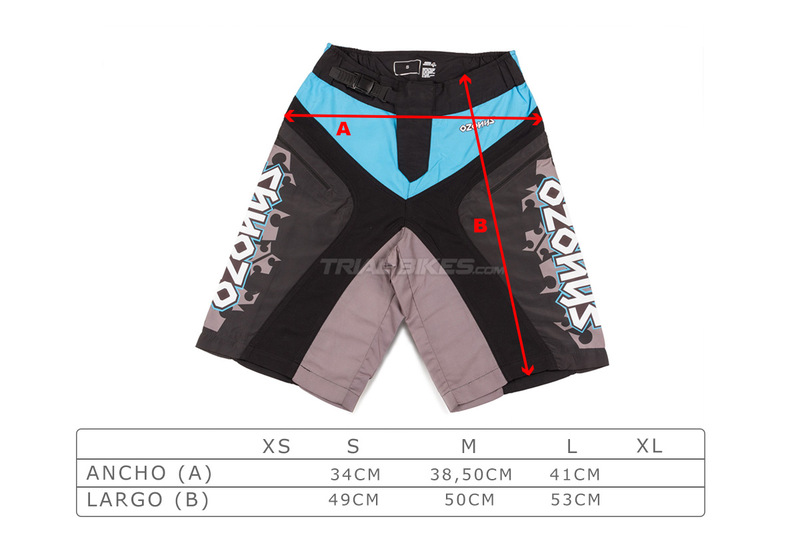 - New version of the high quality trials shorts from French brand Ozonys. 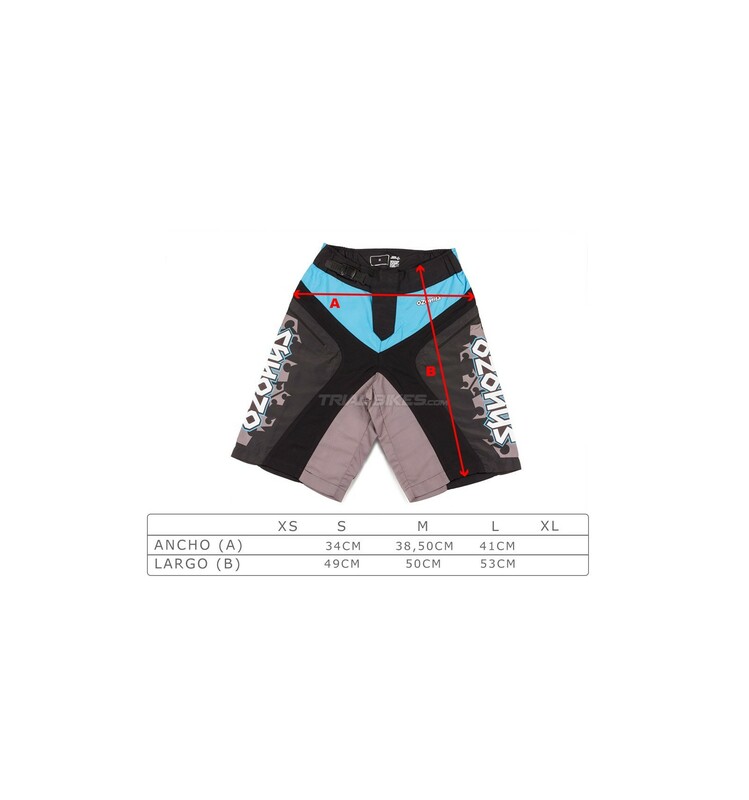 - Super high quality features, achieved in collaboration with the Ozonys Team riders. 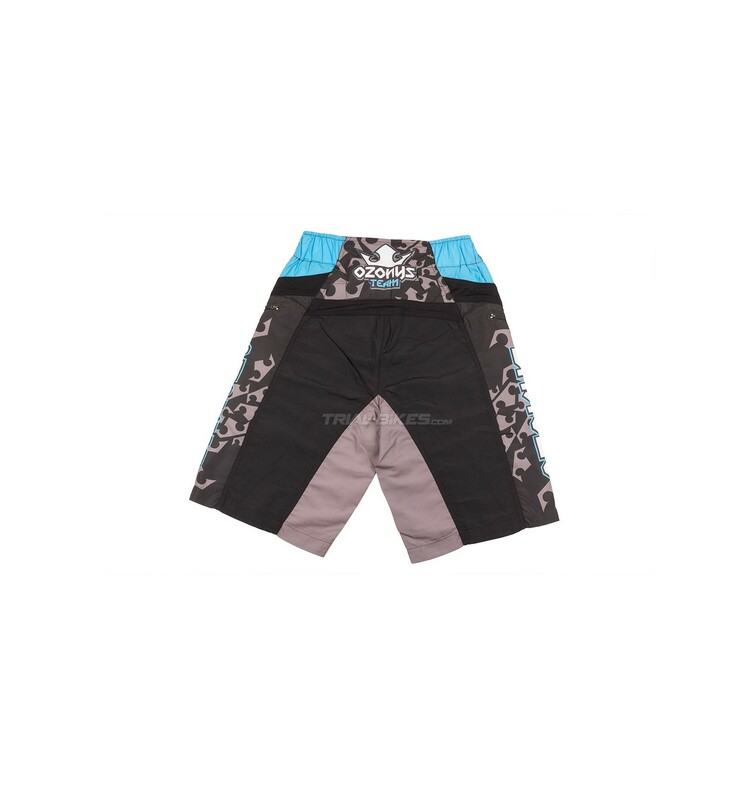 - Specifically designed for Trials, the Ozonys shorts are ultra-light and as non-restrictive as possible. 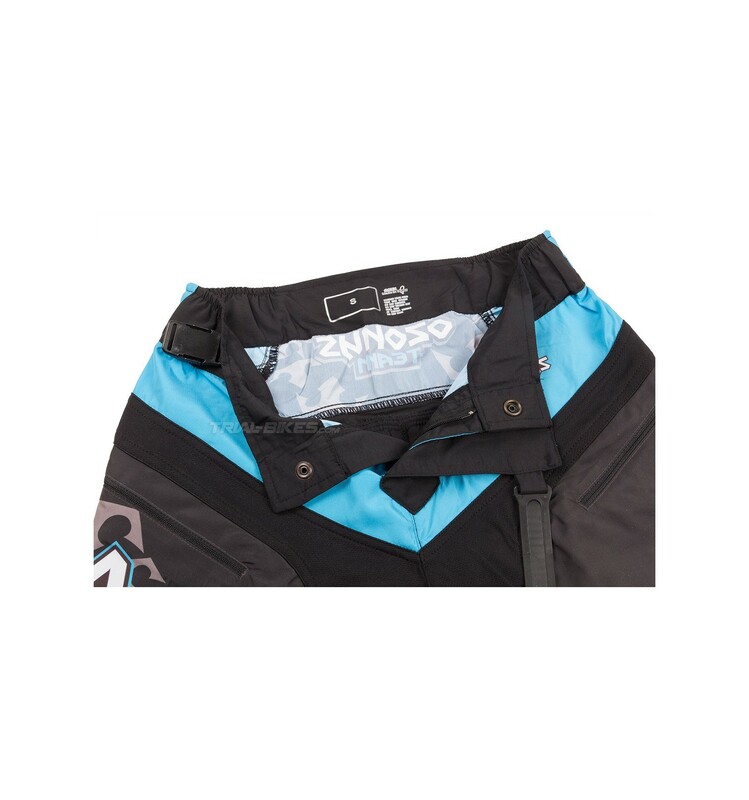 - Velcro fastenings at each side of the waist, with zipped pockets at the sides. - Up-to-date design with a mix of race/casual look. - Only available in grey/black/blue with white Ozonys graphics. - Three sizes available: S, M and L.